If you think your school would benefit from this offer please contact us on 01404 45682. 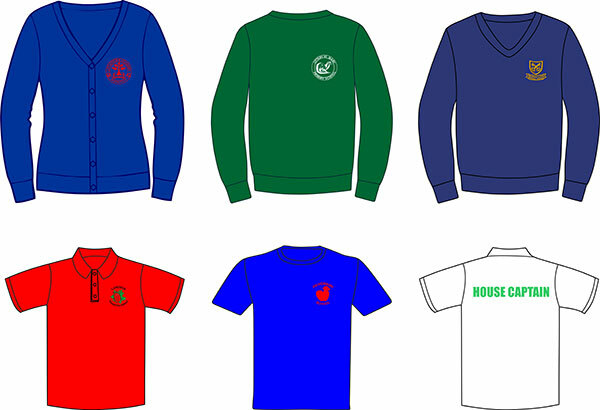 We supply uniforms and book bags to schools nationwide; with the help of our great garment suppliers, we are able to source a range of styles in the colour you need. Consistency is important to us. Over the years we have produced multiple orders, all delivering the highest standard and quality from logo to garments. We have a huge list of schools on our books, but if we don't currently have yours, then all we need is the school to send us their logo and we're away! Please take a look at our online catalogue for school uniform or contact us directly if you cannot find what you are looking for. Embroidery, screenprinting and heatpress are the processes we use to produce your customised uniforms. Prices vary on the complexity of the logo but we will endeavour to give you the best price everytime. There is NO SET-UP CHARGE for schools and the larger your orders the larger the discount. We supply many bag types, from classic book bags to gym sacs. At an additional cost we can offer an embroidered logo if you would prefer. If you are a new customer please send us your logo so we can give you an accurate price as soon as possible.